Though we’re based out of Providence, the Independent is disproportionately staffed by native New Yorkers. The easy take, therefore, would be to write that our entire newspaper sides with the cops on this issue. However, after much deliberation, we here at the Indy have chosen to take a more polemical stance on #bagelgate by offering up the possibility that, maybe, NYC has already dug its own grave with respect to the sanctity of its local flare. NY can’t justify its claims to authenticity after making the bagel Instagrammable vis-a-vis its invention of things like rainbow bagels, or the entire enterprise of Smorgasburg. There’s a deli in Park Slope called Shelsky’s that most New Yorkers would consider legitimate, even though its menu is a pastiche of nostalgic deli items belonging to completely unrelated ethnic communities. (Gravlax and whitefish on the same menu? Fuhgeddaboudit!) Even the NY bagel’s most important ingredient—the city’s tap water—is portable in 2019, given the tech-based solution offered by the New York WaterMaker Machine. The Indy seeks to offer a departure from the ontology of the origin. In the post-secular era, we must conceptualize faith as an individuated affair, a multilateral system of coexisting, distinct beliefs—the act of belief itself supersedes the notion that any one faith must rule at the institutional level. Some people cut their bagels in half at the center and some (maniacs) cut them into twenty pieces. Our present condition can nonetheless be contained within a certain symbol the bagel provides us—the symbol of the hole. Maybe, the bagel hole is the hole in our hearts that we’re constantly chasing—or a hole where our childish dreams of genuine Being go to die. It is a lack and can never be returned to us. They always come back, even after diligent beachcombers pick up the remains, and children damp from an evening’s swim pocket a loose eyeball, a stray receiver, an entire cat. For the past 35 years, the beaches of Brest, France have been graced with the continuous presence of Garfield, or rather, the Garfield novelty telephones that waves keep washing to shore. “It never stops,” said Claire Simonin Le Meur about the Garfield phones, a 1980s product released to commemorate the character’s notorious likeness: plastic orange body, lazy smile, eyelids that raise and droop depending on whether the receiver is in the cradle. They arrived with the tides without explanation, relentless like a tabby’s appetite for lasagna. At first, they were a curiosity, a miracle even—a lifetime supply of free phones for the people of France (if you could detangle the seaweed). There were many questions to ask about the phenomenon, such as how? and why? 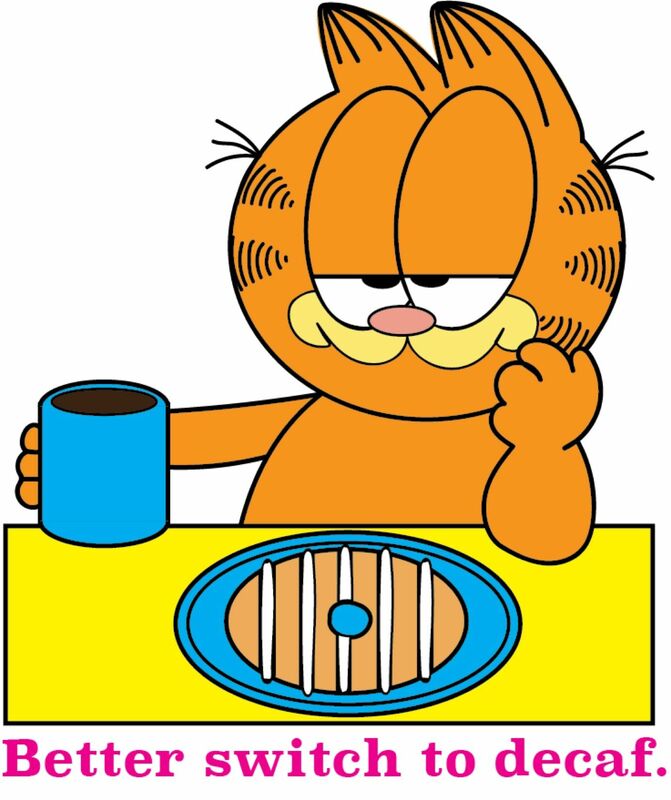 and Garfield?, but as the saying goes: Don’t look a gift cat-telephone in the mouth. But Claire Simonin Le Meur did. She is the president of Ar Viltansoù, an anti-litter organization that sees the fleet of felines as a dangerous environmental hazard rather than a rich seaside tradition. After more than three decades, they decided to put “ending pollution” in front of “just letting a weird thing happen,” and began to investigate the mystery. When local farmer René Morvan heard about Ar Viltansoù's kitsch kitty crusade, he recalled when the Garfields first arrived in his boyhood: a storm had struck the coast, sending a shipping container jam-packed with TeleGarfields careening into a sea cave. “At the time, there was a lot of things that came to us from the sea,” said Morvan, perhaps teasing at a secret history of Bugs Bunny lunch boxes and Dilbert beer koozies rising up from the foamy deep. Breaking his silence on the whereabouts of the the comicstrip sea debris, Morvan led members of Ar Viltansoù to the cave. Garfields abounded, glorious to behold. Those damn eco-warriors probably thought they’d won the battle against Garfield and all he stands for—indulgence, misanthropy, plastic waste harming coastal ecosystems­—but their precious environment had allied with the cat. After so many years, the shipping container had become immovable, buried beneath rocks. The tides of the Atlantic will always come in, and so will the GarfPhones, shining, decrepit symbols of a simpler time—of analog technology, of things washing to shore and people being cool with it, of Garfield. All of the Independent’s journalists are dues paying members of the Garfield Fan Club, so naturally we were planning a staff trip to Garfield’s hometown of Muncie, Indiana to pay homage to the rascally cat with a sampling of Providence delicacies—pasta baked with Mayor’s Own, a gallon of Dunkin’ to satiate his caffeine addiction. But when we discovered that the real International Site of Garfield is in northwest France, we decided to risk cold early spring temperatures and the wrath of angry environmentalists to visit our pop culture hero in his briny lair. We found Garfield, tangled in his own wires and covered in barnacles, and we felt it­—validation. We here at the Indy hate Mondays. Always have. It’s good to find someone, or something, that understands.